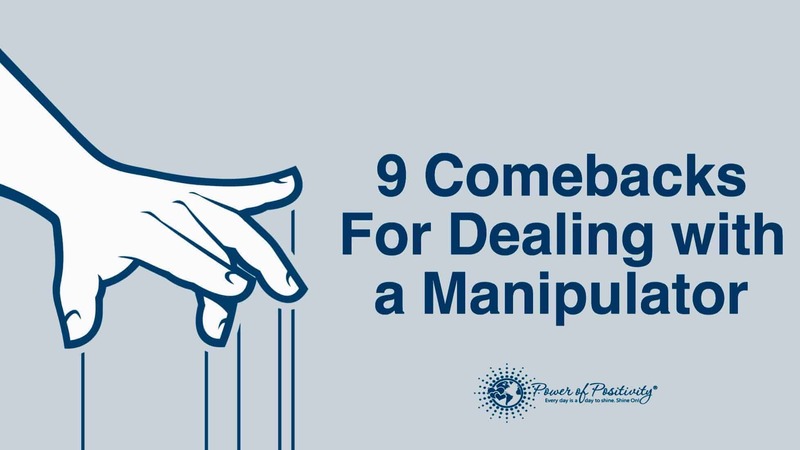 We’ve shared many articles dealing with the topic of dealing with a manipulator because we know that they can be amongst our midst any day, at any time. Manipulators are easy to spot by how they make you feel. 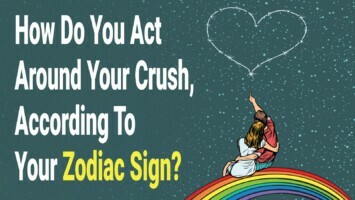 When you are in tune with your emotional state, you feel that tight-gut feeling that tells you to pay attention to the words and actions of the manipulative person you are dealing with. Here are some concrete comebacks to use for the next time you feel yourself being manipulated. When you begin by saying ‘I need’ to a manipulator, it is a powerful rejection of their tactics. You are simultaneously saying ‘No’ to whatever the manipulator wants and you are replacing it with something that you want instead. ‘No’ is a powerful word if you are able to use it alone. The problem is that ‘No’ is often followed by the reason that you are saying ‘No.’ You do not need to justify your ‘No’ to a manipulator. This is another way to say what your needs are and reject the manipulator. When dealing with a manipulator, the best comeback is to focus on your own needs. You reject what the manipulator needs and replace it with your own needs. A manipulator will usually try to tell you how you feel. Do not allow them to dictate your emotions. You are in control of your emotional response. The tactic of telling you how you feel is used by a manipulator to get you to respond defensively with anger, fear or sadness. You always have a choice to be positive, happy and joyful, even when you are dealing with a manipulative person. Manipulators feed on people with low self-esteem. The problem is that a manipulator also has low self-esteem so they will seek out others who they can control by attempting to reduce their self-worth with insults. If you are able to stay strong in the face of a manipulator by validating your own self-worth, you show them that you cannot be controlled. Another good statement is ‘Let’s take some time so that our emotions can cool down before we try to solve this.’ Your goal is to reduce the anger/fear/sadness that is coming from the manipulator before you engage with them. As we mentioned in 8 Signs Your Partner is Trying to Control You, someone who thrives on drama will start a confrontation with an extreme emotional state. Control the desire to respond to an attack with an attack and your manipulator will be deflated by your comeback. This statement is the truth. 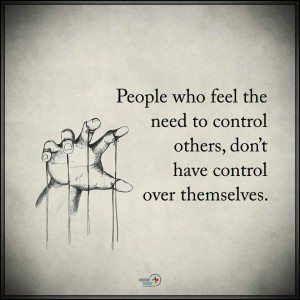 If you feel manipulated, then someone is violating your boundaries. That kind of behavior is unacceptable. You may recall that we talked about How to Spot a Wolf in Sheep’s Clothing in a previous article. Manipulators are like predators feeding on easy prey. This is one of the most supportive things you can say to a manipulator. The statement demonstrates your recognition of their anger/sadness/fear and the question demonstrates your openness to helping them. Low self-esteem is a classic sign of a narcissistic personality. Read our article 5 Signs You’re in a Relationship With a Narcissist for more information on handling these people. 9. Say nothing at all. Manipulators thrive on drama. If they can get you worked up and angry/fearful/sad, they think they have won. Stay calm, manage your breathing, and focus on your body. Feel the sensation of tightness in your chest, shoulders, neck and stomach. Try to relax those muscles as you make eye contact with your manipulator. This can be very difficult for some people. Facing an angry person with calmness is infuriating for the manipulator. They may lash out with even more anger. Resist the urge to engage with them. Your manipulator will quickly learn that they are not able to change your emotions and they will move on to another target that is easier. Related article: 11 Ways to Protect Yourself From Emotional Manipulation.